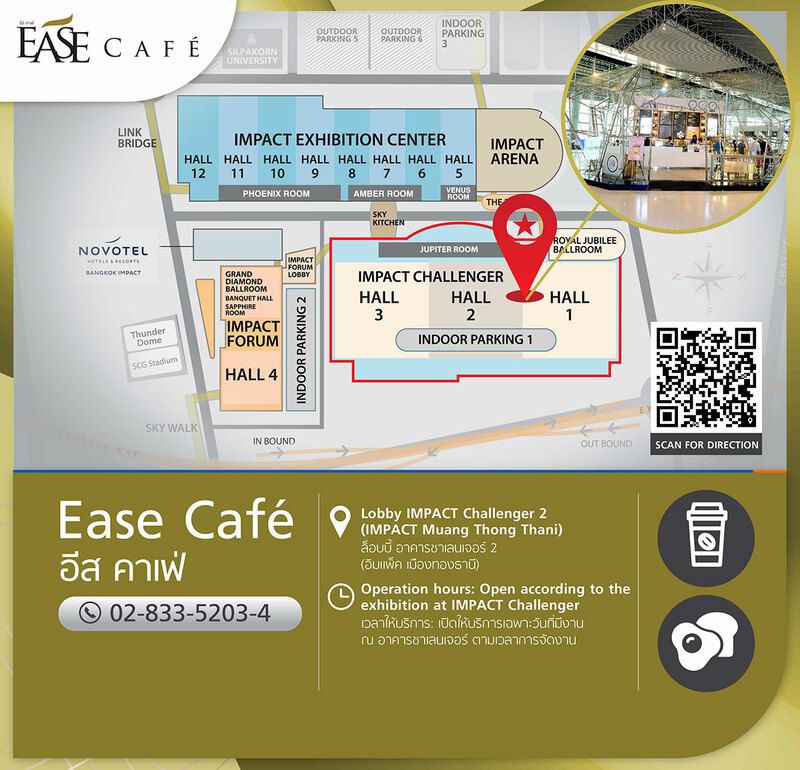 Stop by the newly-opened Ease Café to relax and recharge if you happen to visit IMPACT Muang Thong Thani. Freshen up yourself with a nice cup of rich freshly-brewed coffee in a cozy setting such as Espresso, Cappuccino, Caramel Macchiato, Oreo Creamy Frappe, Chocolate Kit Creamy Frappe and 7 flavors of Mixed Soda Drink. 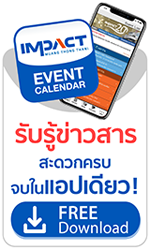 Apart from that, salads, spaghetti, salad, sandwiches, and an assortment of home-baked cakes, waffle and toast such as Chocolate Cake, Blueberry Cheesecake, Raspberry White Chocolate, and Mango Cheesecake are also available from IMPACT Bakery. Ease Café is a great place to meet up and chill out with family or friends.